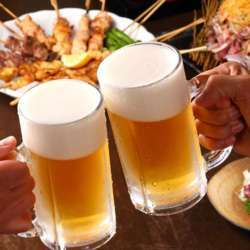 Beer Pairing with authentic Japanese Food limited to 30! You must be a member of the Berlin Taste Asia Group to attend this activity. Would you like to join this group? Hi Kentaro, This is Protected content . I would love to join the Japanese event on 16th Feb Saturday! Helloooooo!!! Again Japanese event with Japanese Beer with Japanese Chef and Japanese food!...and Japanese organizer! We are coming back to the same place before!! BUT I asked them to arrange Japanese Chef! plus Japanese beer!!! They will prepare 5 different Beers. (3 Japanese beers, one German, and one asian beer? ), and you can eat the authentic Japanese food!! Yakitori, Gyoza, Temari-Sushi, Karaage on salad, Yakiudon. If you are vegetarian, please write me so!! help me to make space!